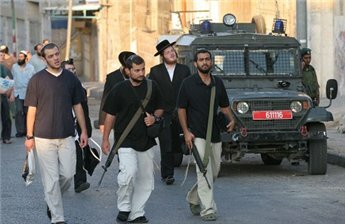 Sunday evening [September 29, 2013], local sources have reported that a number of extremist Israeli settlers of the Bracha illegal settlement, clashed with Palestinian youths in Burin village, south of the northern West Bank city of Nablus. 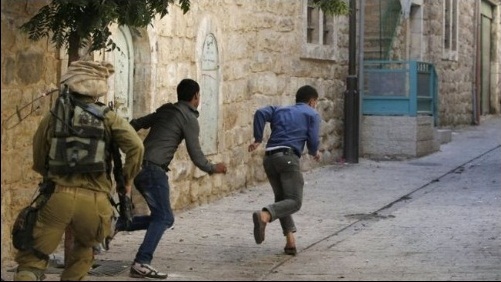 Head of the Burin Village Council, Jamal Zeben, stated that the extremists attacked several Palestinian homes in Jabal As-Sabe’, in the eastern part of the village, and hurled concussion grenades at a number of homes. He added that dozens of local youths confronted the settlers, threw stones at them, and chased the assailants out of the village. The official further stated that, unlike daily scenarios, Israeli soldiers could not be seen in the village, and around it. 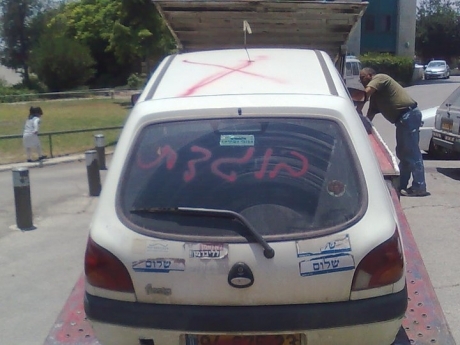 On Sunday evening, a Palestinian worker was injured after being rammed by a settler’s vehicle, near Husan town, west of the West Bank city of Bethlehem. Waste water from Ariel settlement is causing environmental damage to natural areas in Salfit, a Palestinian researcher said Sunday. Khalid Maali, a researcher on settlement affairs, told Ma'an that the Israeli settlement in the West Bank, home to some 20,000 settlers, releases nearly 300,000 liters of sewage water daily into the neighboring valley of al-Matwi. The area used to be a natural tourism park but sewage water from Ariel has caused severe damage to the soil, and locals can no longer stand the smell, Maali said. 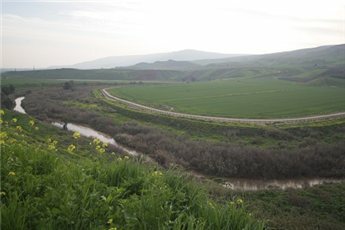 Waste water from Ariel also damages Palestinian agricultural crops and pollutes water sources used by livestock. Israeli settlements in the occupied West Bank have caused severe environmental degradation to land and water resources in the occupied West Bank, the Applied Research Institute-Jerusalem says. The research group estimates that that 80 percent of domestic water from Israeli settlements ends up as waste water, which often flows into surrounding Palestinian villages. Boaz Albert, the settler from Yitzhar who has repeatedly confronted police officers enforcing an administrative order from the IDF ordering him to stay out of the settlement, said he would return to Yitzhar upon his release from custody on Friday. During Albert's first arrest which caused an uproar, police were filmed shocking him with a Taser gun. Since then, numerous Knesset members and prominent rabbis visited his home in Yitzhar, and during the Sukkot holiday, some 2,000 people took part in a support rally held at his home. Last Tuesday, police officers who arrived in Yitzhar to arrest Albert had to forcefully disperse dozens of supporters in order to enter the home, where they found the settler bolted to the floor with a complex mechanism. The police officers' attempts to dismantle the mechanism failed, and a smiling Albert explained that he had lost the keys to the lock. While chained to the floor, the settler told a radio station that he does not recognize the police's authority to arrest him and that he enjoys the support of MKs and rabbis who instructed him to violate the administrative order. Meanwhile, Albert's supporters clashed with police outside the home. Officers claimed the rioters threw bags filled with urine and feces at them and vandalized squad cars. Shai District Police spokeman Dudi Asraf said, "The violence there was very severe, and it cannot be accepted. The officers were called 'Nazis.'" Albert was eventually arrested and led out of the settlement with his head covered, but then another clash erupted between the officers and settlers whose vehicles blocked the entrance to Yitzhar. 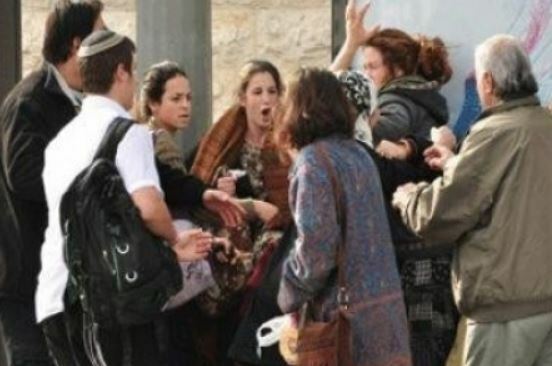 Settlers attacked two teenage Palestinian girls in the Old City of Jerusalem on Saturday, locals said. Abu Yousef Abu Irmeleh told Ma'an that three settlers attacked his daughter, Thikra Ahmad Abu Irmeleh, 13, and his niece, Ghada Mahmoud Abu Irmeleh, whose age was not given. 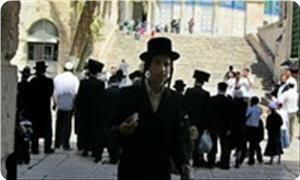 He said that the two girls were passing through the Jewish Quarter of the Old City when they were punched in the face. Abu Irmeleh filed a complaint to the Israeli police, who subsequently began an investigation. The attack was caught on camera. Another witness, Abu Jamal said that he saw the two girls near the Chain Gate crying and visibly frightened. He asked them why they were crying and they said that they had been attacked by settlers. Another witness, Abu Yousef, said that Palestinians are attacked on a daily basis by Israeli settlers while passing through the Jewish quarter. These attacks take many forms, including verbal assaults, throwing of garbage, or physical attacks. Jerusalem's Old City sits in East Jerusalem, a part of the internationally recognized Palestinian territories. Dozens of Jewish settlers broke into the Aqsa Mosque on Thursday morning in the company of rabbis and toured its courtyards. Jerusalemite sources said that the settlers entered through the Maghareba gate in groups and performed Talmudic rituals and listened to explanation on the alleged temple. The sources pointed out that the Israeli police forces intensified their presence on the gates of the holy site and scrutinized IDs of Palestinian worshipers. A state of extreme anger and tension prevailed inside the Aqsa Mosque as calls were heard for maintaining vigil inside the holy site to defend and protect it in face of the settlers’ repeated storming. Meanwhile, confrontations took place in the Old City of Jerusalem on Wednesday after inhabitants refused to allow settlers to pass through their Qirmi suburb. In another incident, two young men were treated for gas inhalation near Shufat refugee camp in Jerusalem afternoon Wednesday after Israeli occupation forces fired tear gas canisters at inhabitants who threw stones and crude firebombs at the soldiers. 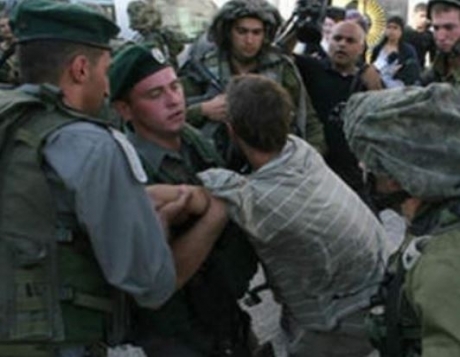 Wednesday at night [September 25, 2013] a group of extremist Israeli soldiers attacked several Palestinian youths in the Al-Qarmy neighborhood, in occupied East Jerusalem, as they verbally confronted settlers who marched there. Resident Ashraf Abu Da’aas, stated that approximately 400 settlers organized provocative marches in the Arab neighborhoods of Saraya, Al-Hakary, and Al-Qarmy, and were dancing and chanting provocative chants against the Arabs and Palestinians, in addition to chanting “Jerusalem is ours”. Da’aas added that dozens of residents stopped the settlers and prevented them from conducting their provocative procession in their neighborhood, before dozens of Israeli soldiers and police officers arrived at the scene, and attacked the Palestinians. Furthermore, Da’aas said that the Police eventually stopped the settlers’ procession of before some of them headed to settlement outposts in the city, while others went to the Al-Boraq Wall. The Police also prevented the Palestinians from leaving their neighborhoods, allegedly to prevent further confrontations, but did not restrict the movement of the settlers. Israeli occupation forces detain a Palestinian youth during protests against roadblocks and checkpoints in the occupied West Bank city of Hebron, 22 September. Eyewitnesses in Hebron say that Israeli settlers may be preparing to seize the home of the Abu Rajab family which they first invaded and occupied for several days in April 2012. At that time, an Israeli court ordered the settlers out of the house, but never allowed the Abu Rajab family who had lived in it to return. Yesterday, Israeli Prime Minister Benjamin Netanyahu urged the settlers to move back into the three-story building, in response to the killing of an Israeli occupation soldier in the city by an unknown shooter on Sunday. Meanwhile, thousands of Israeli occupation soldiers have been staging raids and mass arrests of Palestinians in Hebron, subjecting residents young and old to abusive treatment, according to witnesses. 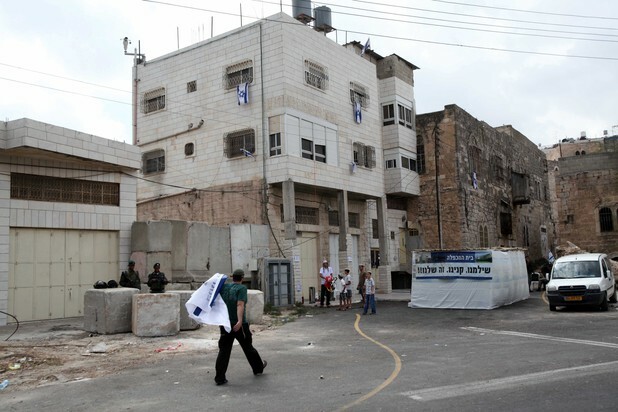 Israeli settlers in Hebron set up a protest tent on 24 September next to the Abu Rajab home, which they seized for several days in April 2012 and plan to reoccupy. On Tuesday, Israeli judicial authorities said that Netanyahu’s call had been his personal opinion, and that the settlers would have to await a court order before they would be allowed to occupy the Abu Rajab home. However, there are signs that the settlers may already be preparing to seize the property. This morning we were there at about 7:00 doing our school patrol at checkpoint 209, right next to the Abu Rajab house. We could see there were a lot of settlers about. One or two of them were armed. They had put up one or two of those temporary shelters directly outside the building. And we saw some people inside the building. We’re not sure if they were soldiers or settlers. This evening when we went past the lights in the building were all on. We didn’t see anyone moving around inside, but the lights were all on. CPT, which has been present in Hebron since 1995, monitors checkpoints in the morning as Palestinian teachers and students walk through, often facing violence and harassment from soldiers and settlers. 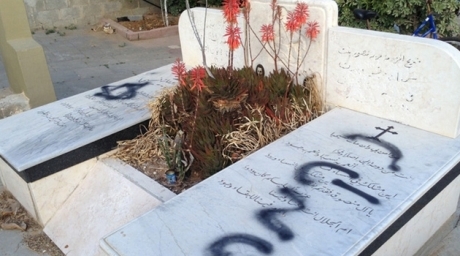 Settlers violently occupied the Abu Rajab house in April 2012, apparently assisted by Israeli occupation forces. But they were evicted a week later after an Israeli court ruled that the house should be sealed until it decided who owned it. Settlers claim to have purchased the Abu Rajab house, which they’ve dubbed “Beit Hamachpela,” but this is contested by members of the Abu Rajab family, who have lived in it for generations. large three-storey property, said they were woken at 1am by Israeli soldiers, armed and wearing black, who broke down three doors. 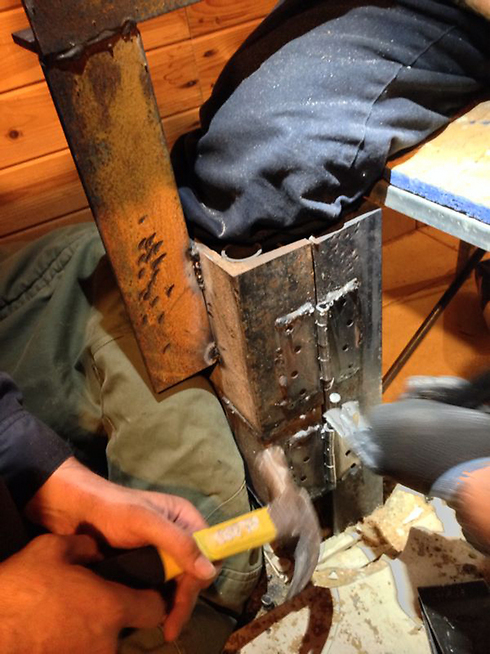 “Within five minutes, 100 to 150 settlers were inside,” he said. The family insisted it had the deeds and other documentation, and pointed out that anyone legitimately purchasing a property would use keys rather than break down doors in the middle of the night. 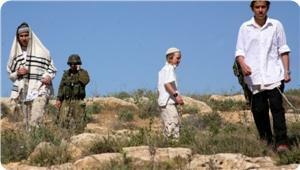 Settlers often claim to have “purchased” Palestinian properties as a pretext to violently seize them from their owners. The video above, posted on YouTube on 6 April 2012, shows Palestinians in Hebron attempting to visit members of the Abu Rajab family still in the house, but being turned away by occupation forces. The resettlement of the Abu Rajab house is a significant risk directly to the community of Hebron, international law and human rights, as settlements are illegal under international law and impede the on going peace process. In addition to the legality of the settlement, the location of the [Abu Rajab house] will constitute a severe threat to the freedom of movement for Palestinians. The house sits between two Palestinian schools and the 209 Israeli military checkpoint. If the settlement remains, it will be in the middle of an area hundreds of Palestinian children must pass in order to attend early morning classes. At the mercy of settlers A few hundred Israeli settlers, among the most extreme and racist in the West Bank, have steadily been taking over the heart of Hebron – a Palestinian city of more than 160,000 – with the protection and assistance of Israeli occupation forces. H2, under full Israeli military rule, includes Hebron’s historic Old City as well as the Ibrahimi Mosque in which the settler Baruch Goldstein massacred 29 Palestinian men and boys in February 1994. This has left much of the city center a ghost town as severe restrictions and harassment keep Palestinians out of the area. 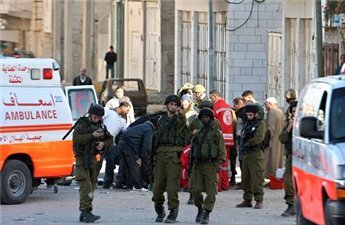 Mass arrests and raids Israel has intensified its assault on Palestinian in Hebron since Sunday’s shooting of the occupation soldier. Quoting eyewitnesses, the group said that approximately 5,000 Israeli soldiers had been deployed in several areas of the city. The witnesses said that the soldiers raided homes and patrolled the streets with megaphones demanding that all residents over the age of 18 report to the main squares. Tensions have been rising in Hebron ever since Israeli occupation forces tightened their stranglehold on the Old City last week so that Israeli settlers from outside the city could visit en masse during the Jewish holiday of Sukkot. Israeli provocations, including roadblocks and additional checkpoints severely hampering the lives of Palestinians, led to clashes in which the occupation forces fired tear gas, sound bombs and rubber-coated steel balls at youths resisting with stones. 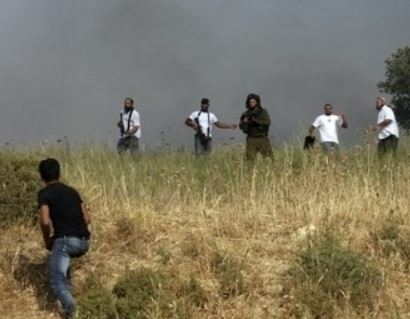 Seventeen Palestinians were injured by occupation forces firing tear gas and rubber-coated steel bullets and in one case live ammunition on Tuesday as well, according to Ma’an News Agency. Frequent attacks by soldiers and settlers Palestinians in Hebron face frequent harassment and violence at the hands of soldiers and settlers. Children have faced violent arrest on the way to school. Children and youths are led from their homes in the middle of the night blindfolded. Settlers stage racist parades mocking the Palestinians who live under their and the army’s tyranny. Last December, on his seventeenth birthday, Muhammad al-Salaymeh, a Palestinian high schooler, was arbitrarily shot dead by Nofar Mizrahi, an Israeli occupation soldier stationed at a checkpoint near the boy’s home. Mizrahi gave Israeli media a version of the circumstances around the killing contradicted by video evidence. The killing, like thousands of others by Israeli occupation forces, has never been independently and credibly investigated. Provocative actions are being carried out by settlers against Palestinians in the vicinity of settler outposts in occupied Hebron in light of the celebrations of the so-called Sukkot Jewish Holiday. A young man has been wounded Monday overnight in clashes with Israeli occupation forces in the al-Eizariya town southeast of occupied Jerusalem. Eyewitnesses said the man was wounded by a rubber-coated bullet at the top of the foot during clashes broke after Israeli forces ambushed four students from Al-Quds University. They indicated that the youths were arrested upon leaving a bodybuilding club in Qubsh area near the western entrance to the al-Eizariya. The Israeli occupation forces stormed the town at night, and began firing tear gas canisters, rubber, and live bullets on the stone-throwing young men. Palestinian medical sources in Jerusalem have reported dozens of residents suffered the effects of teargas inhalation, and at least two have been kidnapped following clashes with the Israeli army and police in occupied East Jerusalem. The clashes took place as hundreds of Palestinians marched to protest a procession by extremist Israeli settlers who have been trying to break into the Al-Aqsa Mosque, the Maan News Agency has reported. Maan said that hundreds of Israeli police officers, and soldiers, surrounded Bab Al-‘Amoud area, and declared it a closed military zone, while hundreds of police officers and soldiers formed human chains preventing Palestinian protesters from entering the Al-Aqsa Mosque area. Palestinian medical sources said that the soldiers and police attacked the Palestinian protesters as they marched chanting against the occupation, and the attack carried out by Israeli extremists who tried to break into the Al-Aqsa Mosque. The sources added that the soldiers used excessive force against the residents, fired gas bombs and concussion grenades leading to dozens of injuries among the residents. Furthermore, Israeli sources said that a settler woman from the Kidmat Tzion illegal settlement, in occupied East Jerusalem, was mildly injured after being hit by a stone thrown by a Palestinian protester. 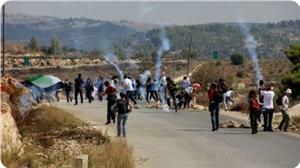 The sources added stones hurled by Palestinian protesters caused damages to at least ten Israeli vehicles in the area. The Israeli police also decided to close the Al-Aqsa Mosque to Muslim worshipers on Tuesday, an issued that led to further tension. 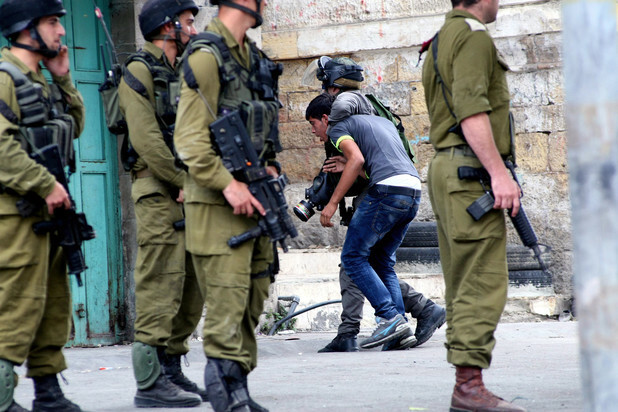 Earlier on Tuesday, Israeli soldiers kidnapped four students of the Abu Dis University, in occupied East Jerusalem. 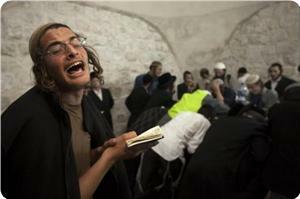 A large number of Jewish settlers at dawn Tuesday stormed under military protection Tell Balata area on the outskirts of Nablus city in order to perform their usual rituals at Yusuf's tomb. Local sources reported that the Israeli occupation forces (IOF) intensified their presence in different areas of Nablus and carried out raids on homes before the Jewish settlers entered the city. During that time, the IOF clashed with Palestinian young men in Balata and Askar refugee camps and showered them with a hail of tear gas grenades. No injuries or arrests among the young men were reported. One day earlier, the IOF stormed Yanoun village to the east of Akraba town, south of Nablus, in order to provide protection for an armed group of Jewish settlers who brought bulldozers and destroyed a large tracts of Palestinian cultivated land. 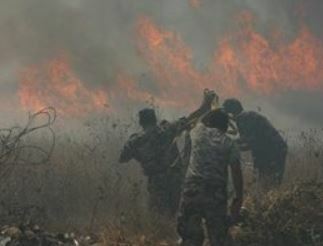 The Jewish settlers also burned yesterday about 30 olive trees in Sura village, southwest of Nablus. Jewish temple groups declared their intention to organize a sacrilegious visit for Jewish families with their children to the Aqsa Mosque on Tuesday to mark the Hebrew Sukkot occasion, the Aqsa foundation for endowment and heritage said. According to the foundation, about 200 Jewish settlers desecrated the Mosque yesterday and performed Talmudic rituals in its courtyard. It said that Jewish groups calling themselves the joint office for the temple groups organized a night rally they dubbed the march of the temple rabbinate in Ein Silwan district and performed some Talmudic rituals before they went to the Old City to perform the rituals of the temple altar and then concluded their march with a sit-in near the Aqsa Mosque. Earlier, scores of Jewish settlers flocked from many places into Jerusalem on Monday morning to participate in a Jewish pilgrimage march. The participants also attended a night concert on Mount Eitan. The organizers of the Jewish pilgrimage march also intends on Tuesday to join the massive march which was called for by the Israeli municipal council in east Jerusalem. 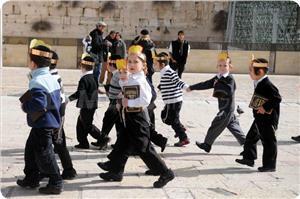 Different Jewish marches will be taking place today in different areas of east Jerusalem. An Israeli soldier was injured Monday, during clashes that erupted between Israeli forces and Palestinians in the city of al-Khalil (Hebron) as soldiers hunted for the suspected killer of the Israeli soldier who was shot and killed Sunday evening. Israeli forces fired rubber bullets and stun grenades at stone-throwing Palestinians who were protesting against the fierce Israeli storm on the city. Monday's wounded soldier was treated on field, an Israeli media outlet reported. 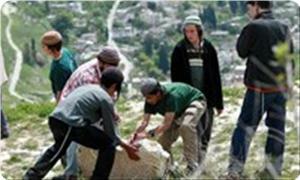 A number of settler vehicles were hurled with stones after they raided al-Khalil to celebrate the Sukkot, causing several materiel damages. An Israeli female settler was injured and was also treated on field. Since Sunday evening, the city of al-Khalil has witnessed violent incursions and clashes following the shooting of the 20-year-old soldier, Gabriel Kobi, who was shot by gunfire at a checkpoint near the Cave of Patriarchs, which is known by Muslims as the Ibrahimi Mosque. Israel's Channel 7 reported that a settler bus was a target for Molotov cocktails, south of Nablus on Monday evening. Israeli medical sources said no injuries or damages were reported and the Israeli forces are searching for the assailants. Additionally, Israeli forces closed Za'tara checkpoint, south of Nablus, due to Jewish holiday, which caused a traffic in the area.